Premier Vert is our newest and increasingly popular, exclusive site tucked away near the Chappelle Curves on the inside of the circuit. It has a secluded location away from other public or private camping areas. Yet it is, literally, a stone's throw from the 24 Hour and Bugatti circuits. 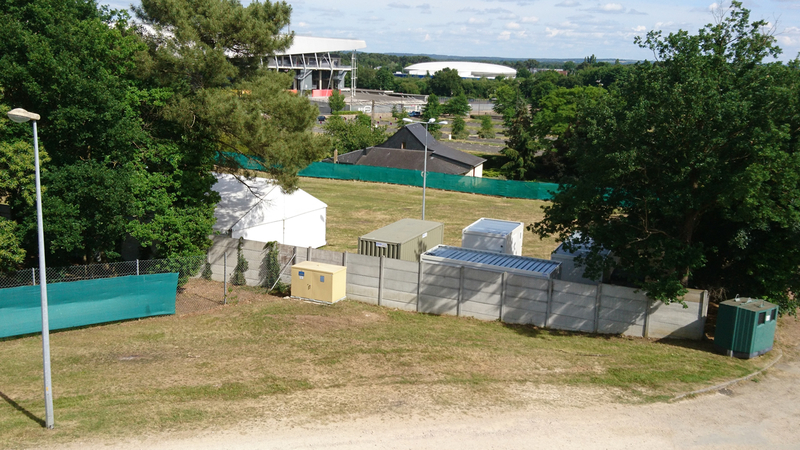 Premier Vert is 3,000m2 and, when combined with the secure parking area, has capacity for approx 180 guests. It has a secure perimeter fence with a single point of entry. 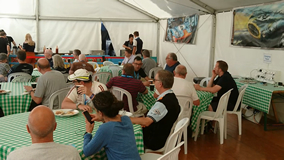 There are ample toilets and showers for guests, a good sized marquee with a well stocked cash bar, free Wi-Fi, dining area for Breakfast and Dinner, lockers for storing your valuables and TV screen for race coverage. 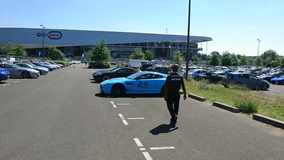 Vehicle parking is close by (approx 30m) on tarmac in a securely fenced area of the M1 Parking area (next to MMA Arena) with a security agent 24 hours a day and night patrols. To see what the site looks like and where it is just click/tap here. 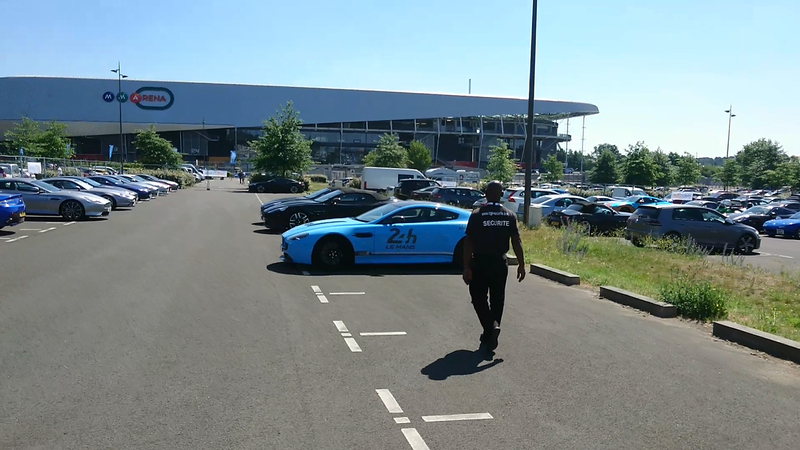 To book spaces on our Premier Vert site, simply select the number of people per vehicle and your preferred crossing route. An initial deposit of £150 per person is required with the remaining balance payable before the 30th April, 2019. 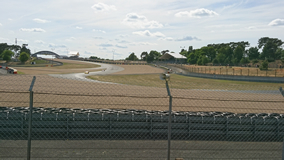 We have a range of grandstand seat available from £77 to £127 per person which can be added when we contact you to discuss your crossing requirements. At 1st Tickets we pride ourselves in being able to offer a high quality, secure campsite with excellent facilities, a relaxed atmosphere and all within the circuit and just a short walk to the action. We firmly believe our private campsites offers the very best accommodation in Le Mans. Our packages includes your chosen channel crossing, camping pitch, general admission to the circuit, wi-fi access, cooked meals and special delivery. Prices are per person, based on a standard sized vehicle and five day crossing. (A supplement will be charged for longer crossing durations, large vehicles and on board accommodation). Access to the site is available from Thursday 13th June (earlier arrivals available upon request) and departure by midday Monday 17th June and there are a limited number of spaces available. 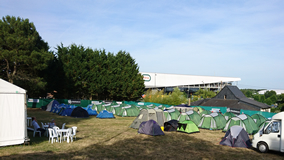 Although private camping areas at Le Mans are becoming increasingly popular, we recognise that many customers prefer to camp on the standard ACO campsites. 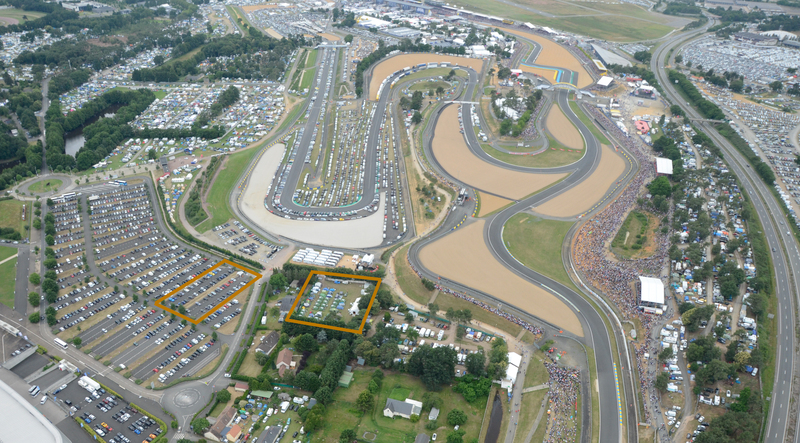 As an official agent for the ACO, we receive a good allocation of spaces for all the campsites at the circuit, including Maison Blanche, Houx and Tertre Rouge. For more information on our self drive packages for ACO campsites please click here to visit our main website .